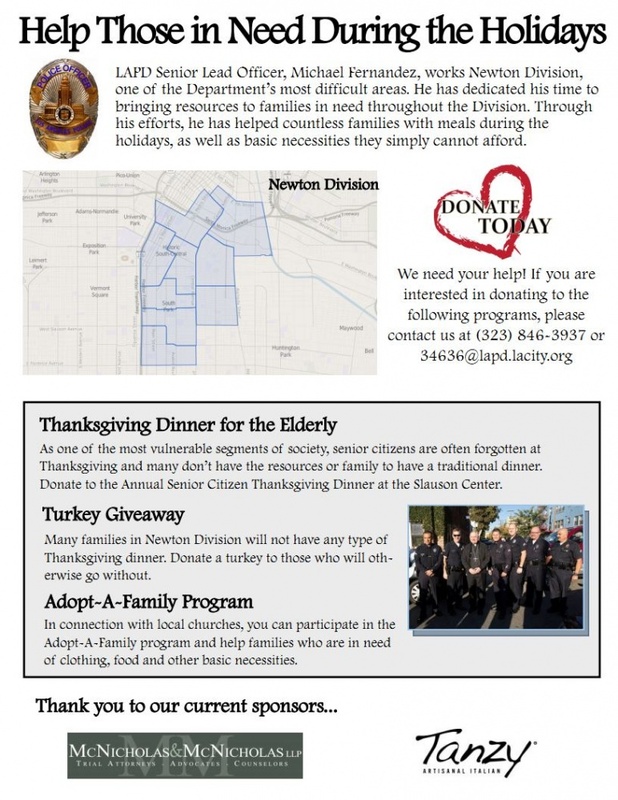 LAPD Senior Lead Officer, Michael Fernandez, works Newton Division, one of the Department’s most difficult areas. He has dedicated his time to bringing resources to families in need throughout the Division. Through his efforts, he has helped countless families with meals during the holidays, as well as basic necessities they simply cannot afford. We need your help! If you are interested in donating to the following programs, please contact us at (323) 846-3937.